Window pane. 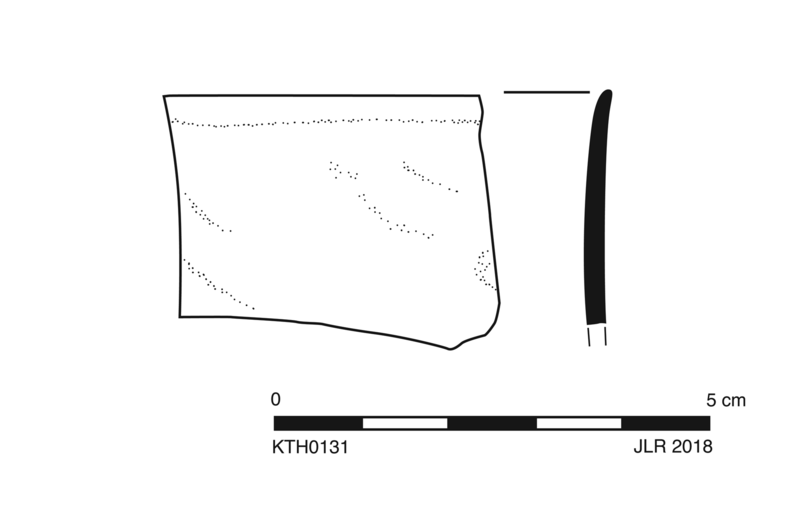 Thin, rounded margin with line traced along edge. Slightly rougher with striations on one side: from production? Slight warped from setting in fenestration? 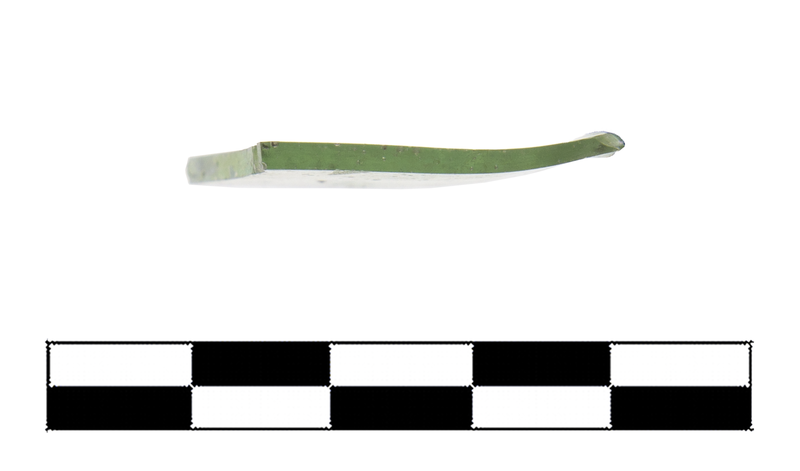 Greenish colorless (PMS 7485C), transparent. Uncommon pinprick to small round bubbles, a few elongated, many in diagonal alignment. One small fragment. Very slight, extensive dulling; small chips around edge.